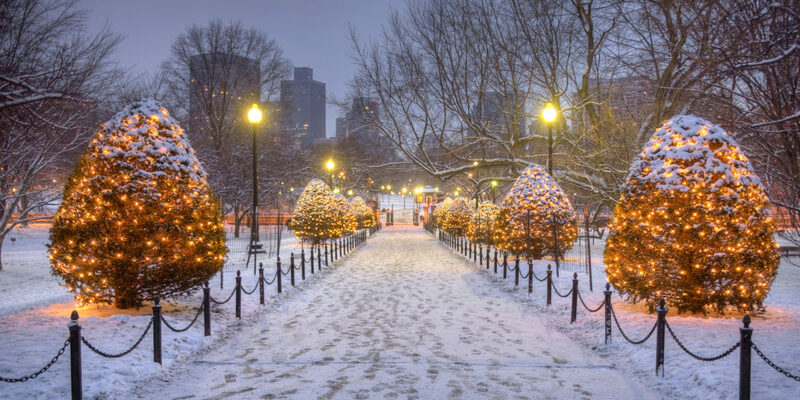 Boston’s abundance of festive, family friendly seasonal and holiday activities make wintertime my favorite season during which to visit Beantown. Plan a trip and find out for yourself just how spirited things can get. 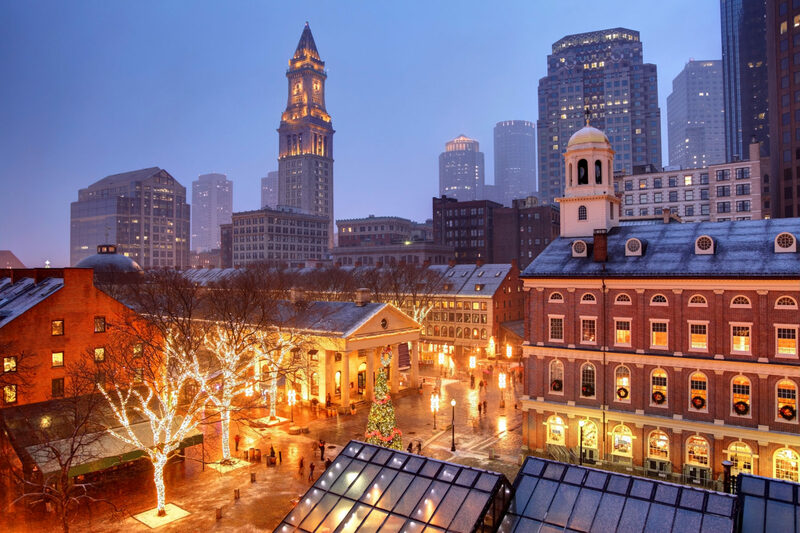 The mid-November tree lighting at Faneuil Hall unofficially kicks off the holidays, with family-friendly performances by the likes of the Boston Ballet, the Boston Children’s Chorus and Blue Man Group. This year, festivities also include a five-week program called Blink! — a 7-minute show of more than 350,000 LED lights pulsing in synchronicity to the sounds of the Holiday Pops. The Boston Ballet — considered one of the best companies in the world — puts on a can’t-miss annual performance of The Nutcracker. The familiar Tchaikovsky score, choreographed beautifully by Boston Ballet artistic director Mikko Nissinen, has delighted local families for years. My high-energy boys, ages 6 and 8, manage to sit still in their seats for the entire two-hour performance — that’s just how good it is. Every winter the Old South Meeting House, in conjunction with the Boston Tea Party Ships & Museum, hosts a reenactment of the Boston Tea Party in mid-December — allowing you to take part in one of the most important events that led to the American Revolution. The classic Boston tradition starts at the Old South Meeting House before leading crowds of locals and tourists to the Boston Tea Party Ships & Museum site. Nothing says wintertime like ice skating, and one of the best places to do it is on Boston’s Frog Pond — a spray pool during the summer that transforms into an ice rink when the weather turns cold. Situated in the famed Boston Common, this family favorite opens at the end of November. 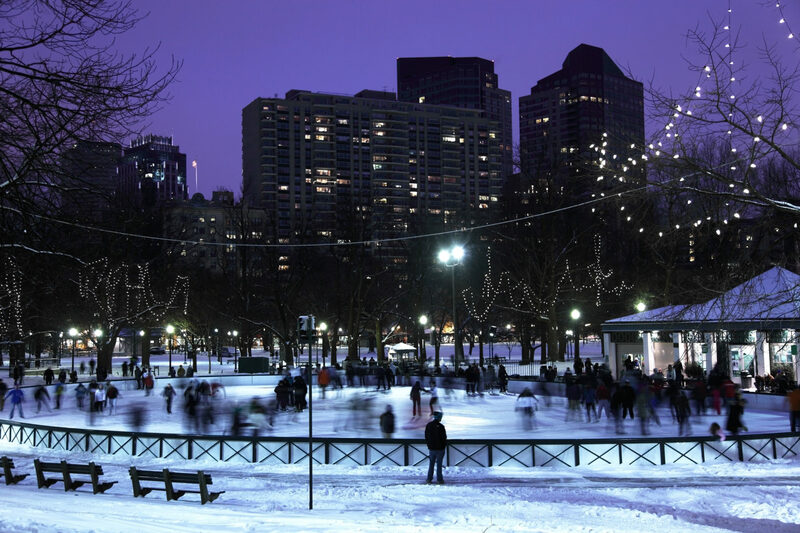 Don’t be surprised to find many locals on the ice; this is one of Boston’s most cherished holiday traditions. You can rent skates or bring your own. Skaters 58 inches tall and under are free, and those taller than 58 inches pay $6.